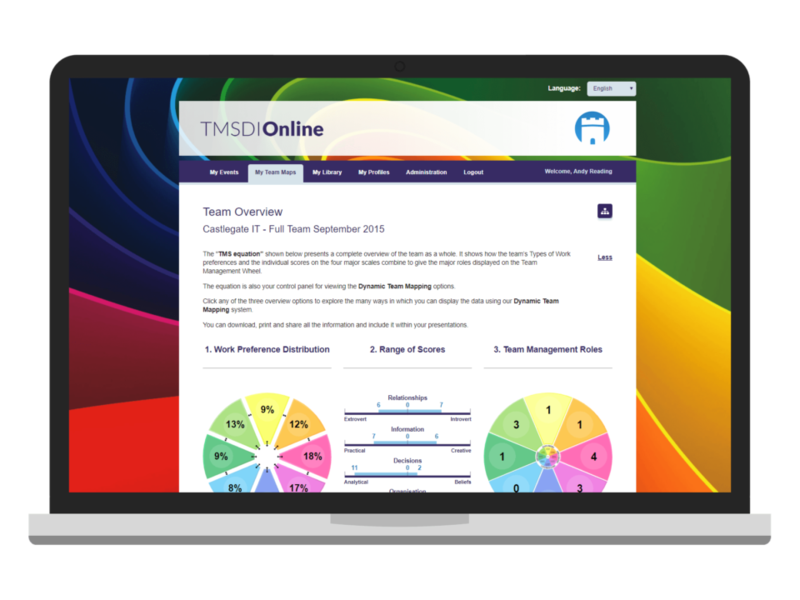 TMS Development International are experts in the psychometric profiling of teams, specialising in the learning and development sector. Employers use them to gain a better understanding of the dynamics of a team and how different people prefer to work. 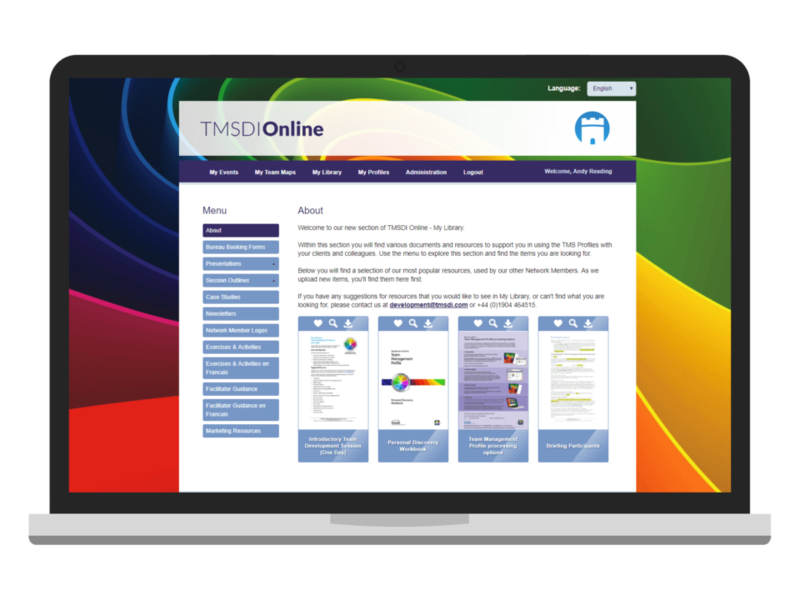 Previously Castlegate IT worked with TMSDI to deliver a bespoke application and questionnaire, which served to greatly enhance the company’s online services. 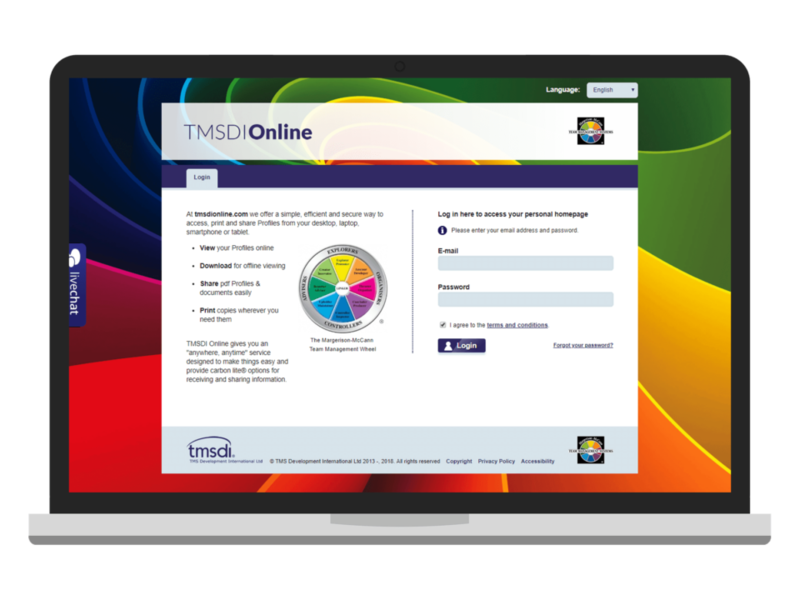 Following the completion of our work on TMSDI’s questionnaire system, we began working on the next stage: delivering the documents which are generated from TMSDI’s clients’ online questionnaires. 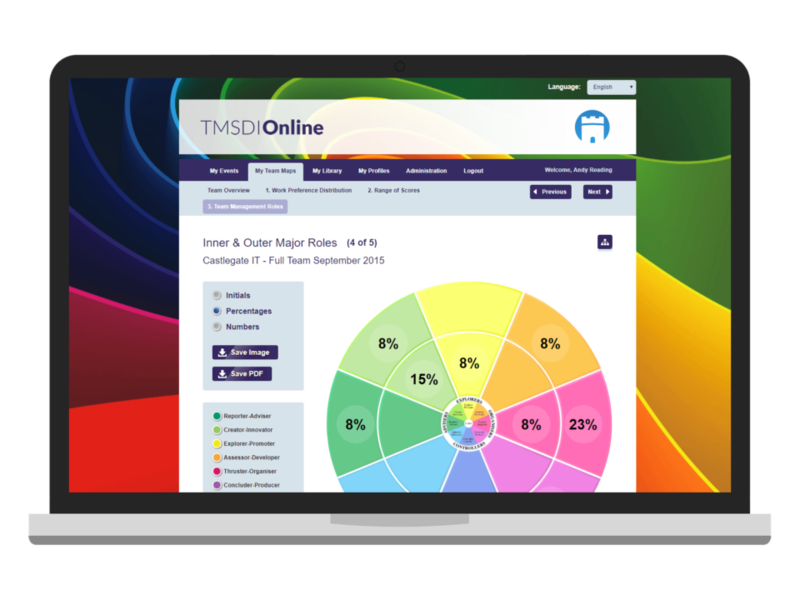 After the success of the TMSDI Questionnaires application in 2011, TMSDI approached us to develop the next stage: a document delivery system for their questionnaire results and reports. An off-the-shelf system was unsuitable for this project. It needed to be tailored to the company’s exact workflow and processes to be a success. We were given a long list of requirements including: complex user management schemes, multi-language capabilities, mobile optimisation, email and SMS notifications, full activity tracking and logging, facilitator and end user sections, automatic data purging, online payment gateways and more. We worked with TMSDI to break the project into its smallest components and built the core functionality in the first round of development, with plans to add additional features in the near future. It’s been evolving ever since. TMSDIOnline was developed on a custom PHP framework and makes use of some interesting tools and libraries for PDF manipulation, creation, conversion and screengrabs. We developed a report generation system which accepts a CSV upload and produces graphs to TMSDI’s strict specifications. Making these reports available as interactive web pages, images and PDFs posed an interesting and welcome challenge. Robust hosting is required for such a crucial business tool. 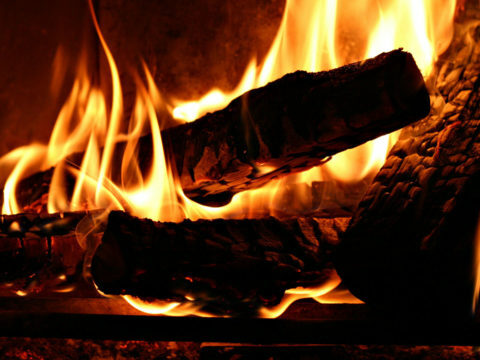 We used our dedicated server for stability, security and maximum control. With the addition of a failover system, the application is always available. Before TMSDIOnline, profile documents and supporting information was delivered to their clients by email or post. The application reduces the manual workload of TMSDI staff and cuts waste by eliminating paper and printing. It’s become an essential tool for delivering their products and allows them to stand out amongst their competition as an industry leader. Over the years we’ve worked with TMSDI to develop the system from its humble beginnings, into one of our largest bespoke systems to date.